is 1,3 °C (34.3 °F). 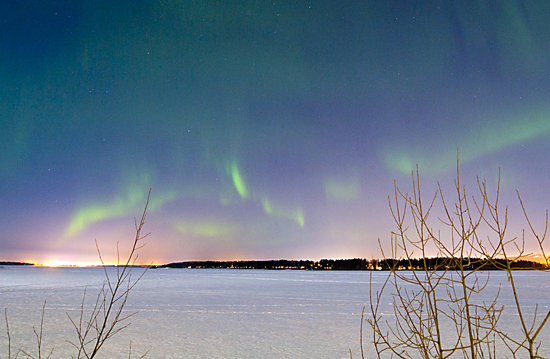 Boden is situated in the center of Swedish Lapland, only 60 km south of the Arctic Circle. Boden is a part of the Node Pole; one of the most geologically, politically and socially stable areas in the world. Swedish Lapland is known for its cold climate and vast natural resources. While others see difficulties with our climate, we have managed to turn it to our advantage. The Swedish Lapland has the lowest temperatures in Sweden during the winter. This means that we can offer natural and cost effective cooling, through both air and water. The average temperature in Boden is 1.3 ° C (34.3 ° F) and the Lule river has an average temperature of 6.2 ° C (43.1 ° F). The Lule river's huge and natural forces provides us with large-scale, environmentally friendly hydropower. Sweden is a safe place to live in. We have been in state of peace since 1814. Which is a big reason why we have political and social stability here.